Starting today (4 October 2018), OPPO’s telco partner, Digi! 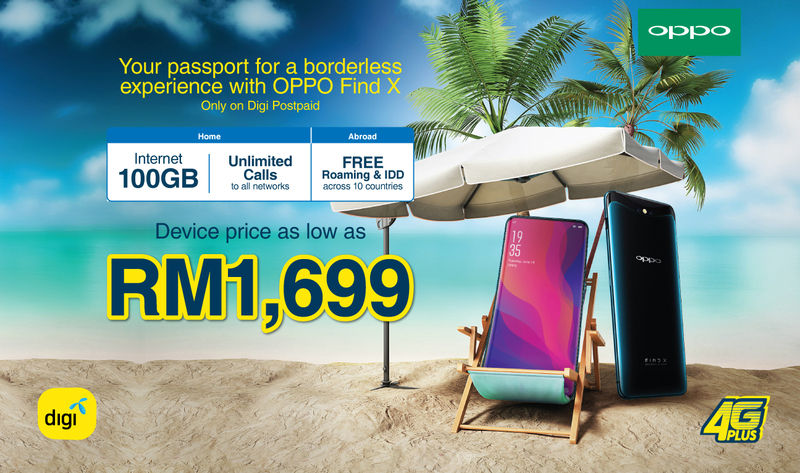 O-fans can now enjoy better offer introduced by Digi which is to own their OPPO Find X at the price as low as RM1,699 by subscribing to Digi Postpaid 190! The famed OPPO Find X adopts stealth 3D cameras where it hides cameras and sensors beneath phone body to achieve a 6.4 inches panoramic arc screen with 93.8% screen ratio. 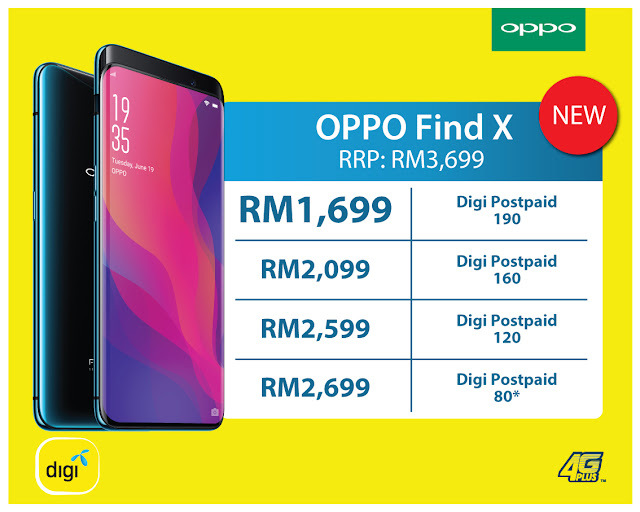 Besides that, OPPO Find X featured with 25MP AI-enhanced 3D camera and 20MP AI-enhanced dual camera to make sure users capture every precious moment perfectly. Together with its 8GB + 256GB memory combination, Find X is definitely the combination of art and technology that not only defines the future but also brings it to realm. *Note that, the phone plan is subjected to terms and conditions.